Succeeding two years of engineering and testing prototypes against every major bulb brand in the horticultural market, the Illuminati International development group found the proprietary PAR spectral and design improvements that yield more accessible energy to plants while prolonging the life of the arc tube. Thus, the Genesis Bulb was created. 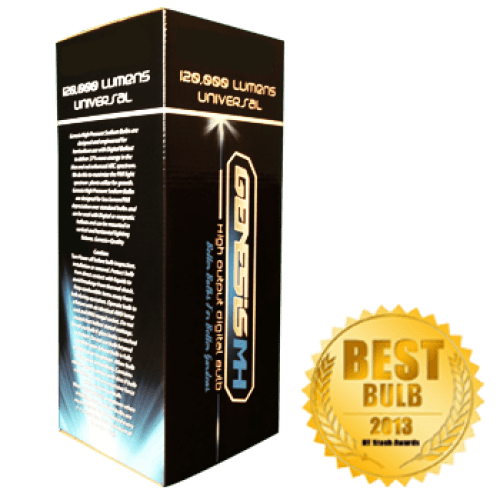 Genesis Bulbs are horticulture industry specific lamps with a unique spectrum following the latest advancements in plant science. Employing academic and commercial scientific knowledge to our manufacturing process is what makes us the most progressive horticultural bulb brand on the market today. Using our proprietary combination of premium gases for both the HPS & MH line we are able to achieve a more plant specific balanced spectrum than previously available within the horticultural industry. These advancements have all been made to satisfy the large new demand for horticulture specific lamps in the market. 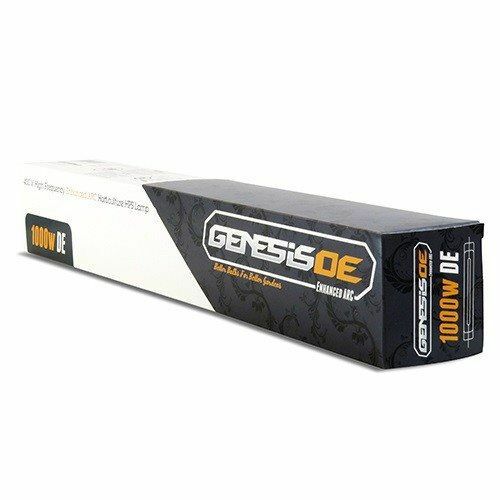 Genesis Bulbs are designed for use in high frequency digital ballasts and are engineered to withstand the increased demand required from pairing a high intensity lamp with a ballast incorporating an overclocking feature. Genesis Bulbs have been tuned for the proper CRI (color rendering index) when overclocked to 10% their stated wattage. 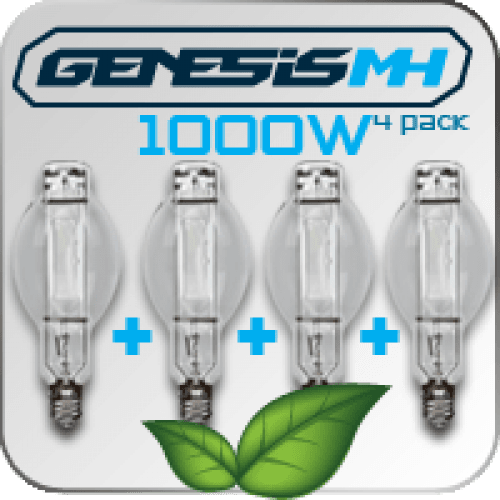 Genesis Bulbs are engineered to reduce the total harmonic distortion while in operation with most name brand ballasts on the market today. This improvement leads to longer life of the arc tube and slower depreciation of PAR output. Designed and engineered for the horticulture industry. Maintains less lumen/PAR depreciation over standard bulbs on the market. Compatable with newer digital e-ballasts or classic magnetic coil ballasts. Deliver 27% more energy in the blue and red enhanced ARC spectrum. Genesis Bulbs can be mounted in vertical and horizontal lighting fixtures. 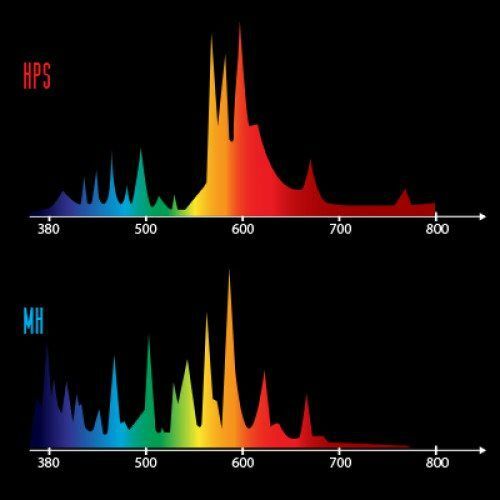 Spectral enhancements increase your plant's photosynthetic response. Increased PAR output generates more vigorous flowerings sets and bud sites. Pulse Start Technology used in all Genesis Bulbs. Caution: Turn Power off before bulb inspection, installation or removal. Protect bulb from direct contact with liquids to avoid breakage from thermal shock. Keep combustible items away from bulb during operation. Operate bulb in a fixture with an identical ANSI lamp cord and ANSI mogul socket. Do not exceed that ballast stated wattage. Do not use bulb if glass looks scratched or broken. Do not use bulb beyond rated life span. Ensure bulb is fully installed prior to ignition. Allow bulb to cool prior to handling. Contains sodium avoid contact with skin if bulb is broken. Do not use excessive force when screwing in bulb. Wear safety glasses and gloves when installing lamp. Sodium bulbs are recommended to be replaced every 1-1.5 years (ran for a minimum of 12 hours a day). Want to order by phone? or Not sure where to start? Don't Worry, give Monster Gardens a call at 1-707-588-8844 and we will be happy to point you in the right direction! Succeeding two years of engineering and testing prototypes against every major bulb brand in the horticultural market, the Illuminati International development group found the PAR spectral and design improvements that yield more accessible energy to plants while prolonging the life of the arc tube. Thus, the Genesis Bulb was created. Using a proprietary combination of premium gases for both the HPS & MH line, we are able to achieve a more plant specific balanced spectrum than previously available within the horticultural industry. These advancements have all been made to satisfy the large new demand for horticulture specific lamps in the market. Deliver 22% more energy in the blue and red enhanced ARC spectrum. plant growth (increasing the spectrum in the infrared and ultraviolet wavelengths). Provide 17% more total spectral energy over leading competitor brands which increases your plant responses, providing more vigorous growth during the vegetative stages. Spectral enhancements deliver a thicker stem and cell wall, as well as less plant stretching and smaller internodal spacing. Increased total PAR output displays stronger intrinsic genetic attributes. 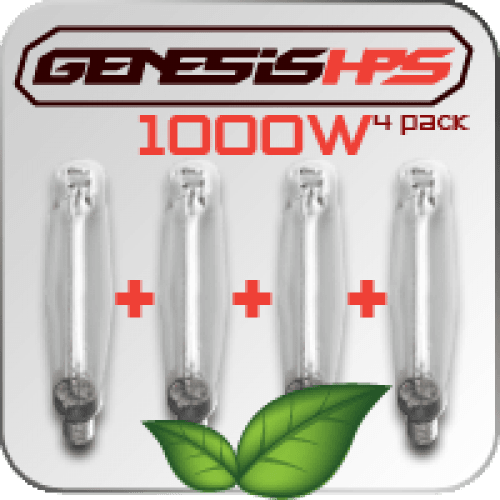 Genesis Enhanced ARC HPS DE Lamp. Here is the newest commercial light advancement from the fastest growing horticulture lamp brand in the USA, Genesis. The Genesis DE “Enhanced ARC” lamp supplies all of the benefits this California based brand is known for, unique “Top Tier” performance at a tremendous value. 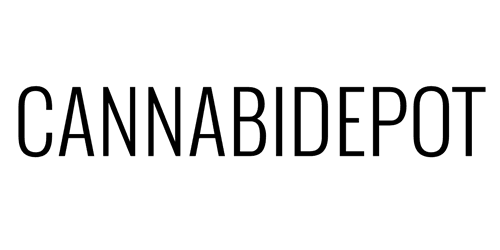 Genesis DE 1000w HPS offers a true horticulture performance with enhanced UV spectra, while supplying the highest PAR output in the industry. Due to enhanced UV, Genesis DE lamps promote healthier vegetative growth and increased essential oil production in flower, while still supplying the intensity DE lamps are known for to maximize your flower size and weight. Genesis DE lamps have been developed for commercial reliability and performance, providing one of the lowest depreciation rates of DE lamps tested on the market. The Genesis testing lab has one of the highest levels of quality control in the industry. Every lamp is inspected three times before is leaves the facility. The Eye Hortilux Super HPS Bulb, 1000 watt is the industry leader in overall sales and amount of HPS bulbs deployed worlwide. Hortilux HPS lamps last longer than any other grow lamp tested by Monster Gardens. 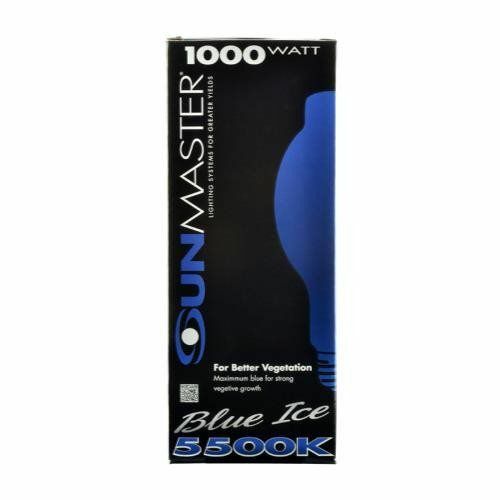 The Eye Hortilux Super HPS Bulb, 1000 watt is the industry leader in sales and deployment. With less mercury than standard HPS bulbs, Hortilux is the environmentally friendly choice for large scale deployment or your home garden. Now they also been made to be Lead-Free and Barium-Free. 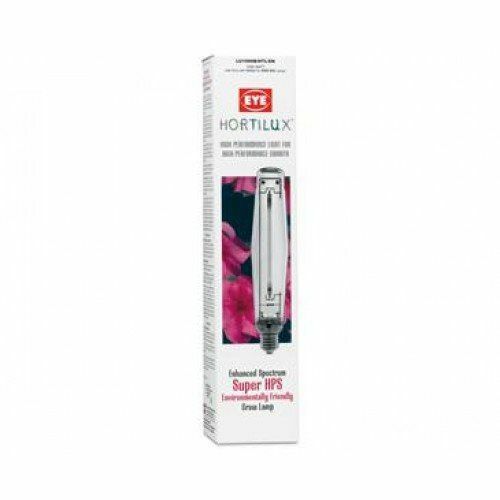 Hortilux Super HPS Enhanced Spectrum grow lamps provide 17% more total energy and 25% more energy in the violet, blue, and green spectrum than basic HPS lamps. 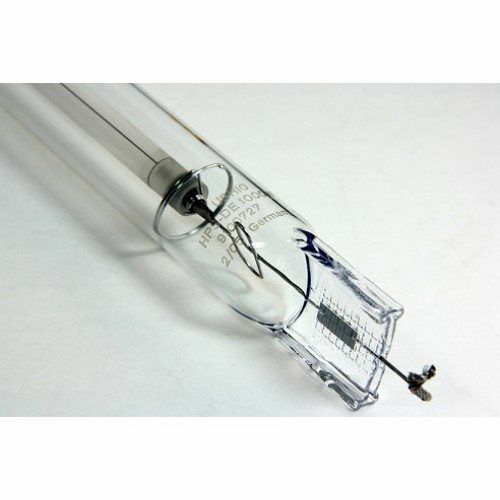 These lamps are the most environmentally friendly and pass EPA, TCLP test criteria as non-hazardous waste. USHIO introduces the NEW Double-Ended 1000W Super High Pressure Sodium Double Ended Pro-Plus lamp to its Hi-LUX GRO lamp series. The Hi-LUX GRO series is a full line of professional grade horticulture lamps that use super high output lamp technology to achieve maximum vegetative growth and maximum flower yield. The lamps are designed to assure consistency in quality and optimized for high performance.